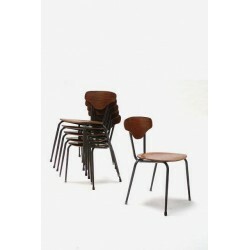 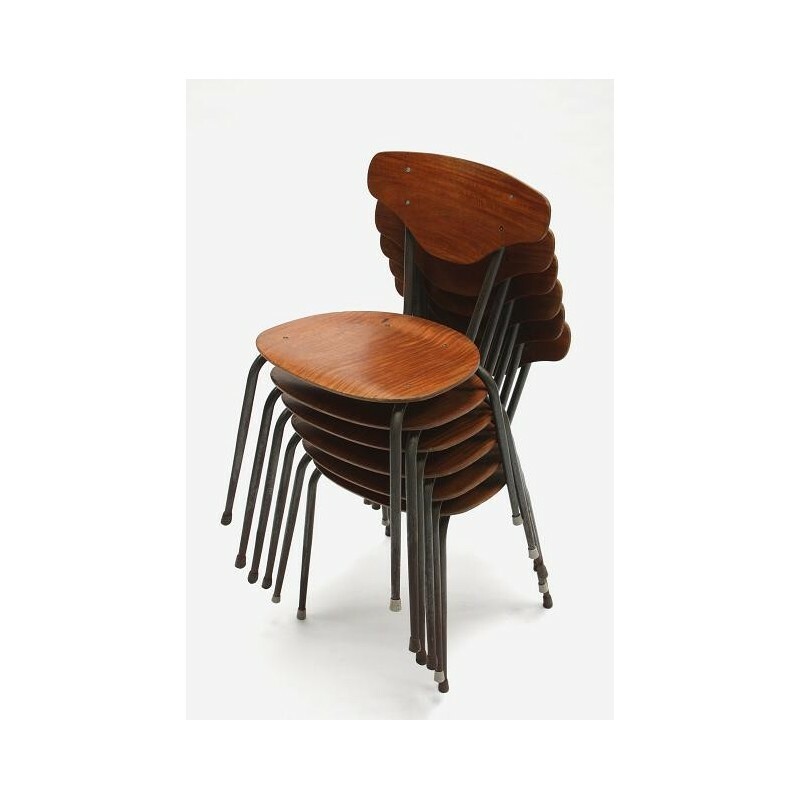 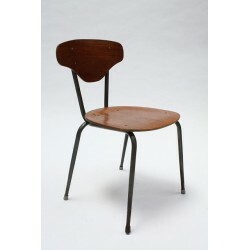 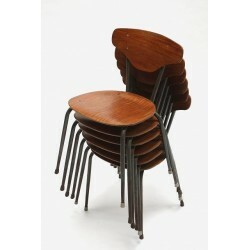 Nicely shaped industrial school chairs with teak seat and back. 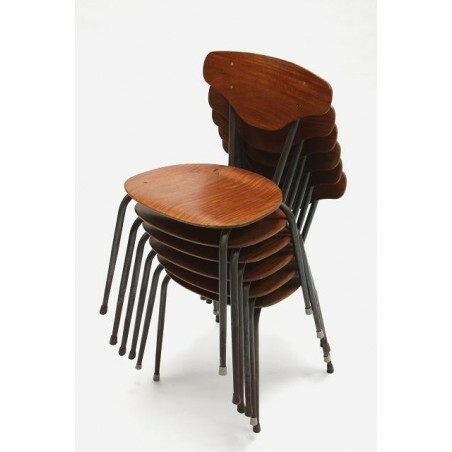 The frame of the chairs is metal. 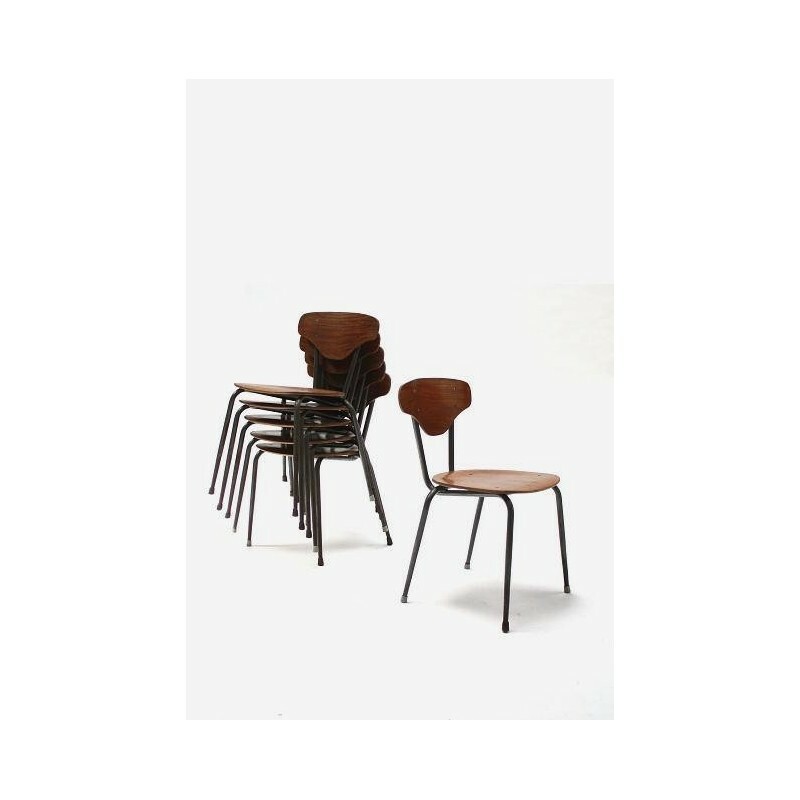 The chairs are in a used condition, the metal has rust ( see detailed pictures). 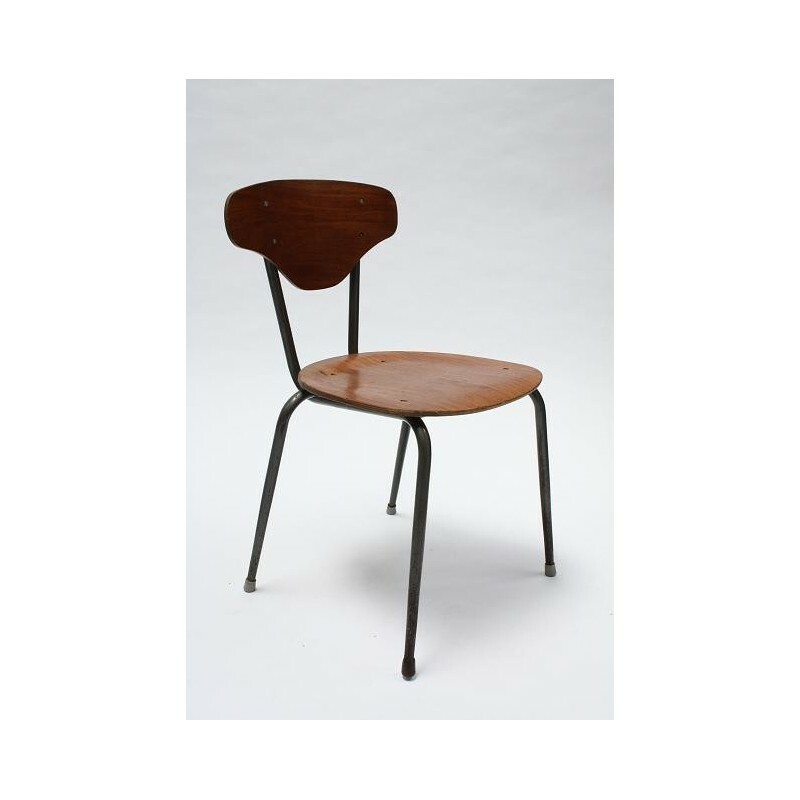 The dimension is 67 cm H/ 38,5 cm SH/ 40,5 cm W.